Matrix Business Walkin Drive | Hiring 0 – 3 Years Experience | 17th to 21st April 2017. Matrix Business Job Openings for BA, BCA, B.Sc, B.Com, BBA, BMS students. Contenders who are eagerly searching for Back-end operations position, those aspirants can directly attend for the below mentioned venue. Interested people can prepare Matrix Business Placement Papers and Test Patterns of Matrix Business to crack the test easily. Those who want to settle in IT Job they can utilize this opportunity. As we all know comparing to the previous years this year competition for Jobs had increased immensely. So there will be tough competition for this Recruitment. For Latest Walkins in Chennai and for further details you can visit the official website. Salary INR 90,000 – 1,50,000 P.A. Offered CTC would be 1.00 to 1.20 LPA. Matrix is a leading business assurance organization of Chartered Accountants in 2003, headquartered in Chennai. It provides to our services more than 350+ corporate customers, of which 25 are in the Fortune 500 list. Funded by Kotak Mahindra Group, today Matrix has 11 branches with over 70+ associate offices pan India. Matrix strength is highly motivated human capital which is currently around 1000+ and growing. Aspirants can attend for the drive for Matrix Business walkin 2017 which is held in Chennai on 17th April to 21st April 2017. Candidates can be suggested that to check the details and carry the required documents. So candidates can also check official website for further details. T Nagar, Chennai, 600 017. 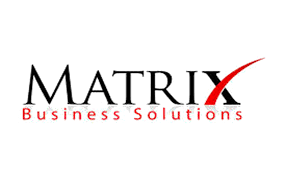 This page will provide you complete information about Matrix Business Recruitment in Chennai. We hope that the above provided information on Matrix Business Recruitment is helpful for your job search. Keep visiting Freshers Jobs for regular Job Updates.